A lawsuit has been filed against the Seattle Mariners and the owner of Safeco Field, with the complaint alleging that some ballpark features violate the Americans with Disabilities Act. 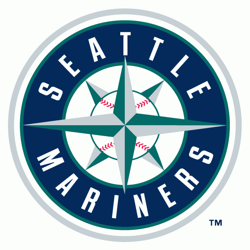 Filed by a nonprofit disability rights law firm, the lawsuit is on behalf of four wheelchair users who attended games in 2018 and is against the Mariners and ballpark owner Washington State Major League Baseball Stadium Public Facilities District (PFD). In the complaint, it is alleged that many of Safeco Field’s features are in violation with federal and state laws, including accessible seating that is obstructed or too far from the field, limited access to various sections of the ballpark, and other issues. In the stadium’s 100 level, the only field-level wheelchair-accessible seat is in the Diamond Club and costs up to $500, Reynoldson said. Elsewhere in the stadium, some accessible seats are too small, causing fans to bump into people sitting in wheelchairs, the suit claims. Gaps in the floor are hazardous for people in wheelchairs, some food service counters are too high and some line areas are too narrow, according to the suit. One restaurant is only accessible by an elevator that requires a staff member’s key to operate, creating an unfair barrier for people who can’t take the stairs, the complaint said. The team claims it’s working on improving the field. This is not the first lawsuit of its type that has been filed against a team and the owner of its ballpark. In fact, a very similar complaint was recently filed against the Baltimore Orioles and the Maryland Stadium Authority, with often blocked views and a broken wheelchair lift at Oriole Park at Camden Yards being among the issues mentioned in that suit.